Phase I of our doggie day care remodel is complete! There was some old termite damage in the attic which was necessary to complete first. This was our big delay in getting started as we hired a structural engineer to ensure everything was completed correctly and would be strong and stable for the long term. We live in Florida so we needed to be sure the roof and ceiling will hold up to even the worst of storms so all our pups will be safe! 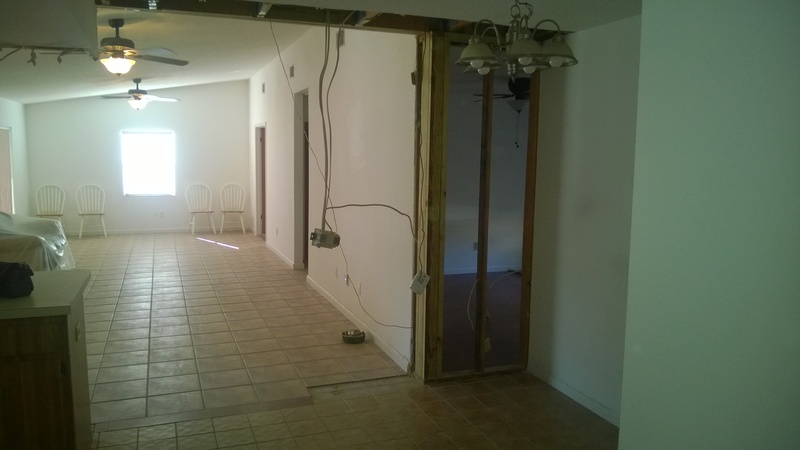 While we were at it, we also took advantage of the opportunity to remove a small wall between the kitchen and the living room to open things up a bit more. Now we move on to phase II and III, the floors and kitchen. All floors will be removed (minus in the bathrooms) and replaced with coated concrete that will allow us to keep the floors sanitized and clean. It will be completely waterproof and commercially sealed so we can minimize the risk of sickness (since we will have smaller dog groups than the typical Tampa day care, this will also help us to minimize illness and cross contamination). The floor is a patented coat that not only protects and waterproofs but it is also more slip resistant than tile or any other flooring, thus also greatly reducing the chance of dogs slipping on the surface. The kitchen will be completely torn out and replaced with new cabinets and appliances. The environment will still be set in a home and so we will keep the warmth and comfort of the home setting for your dog(s) to be more comfortable in. Stay tuned for more updates……until then, Happy New Year!!! Tagged Cage Free, doggie day care, In Home, tampa. 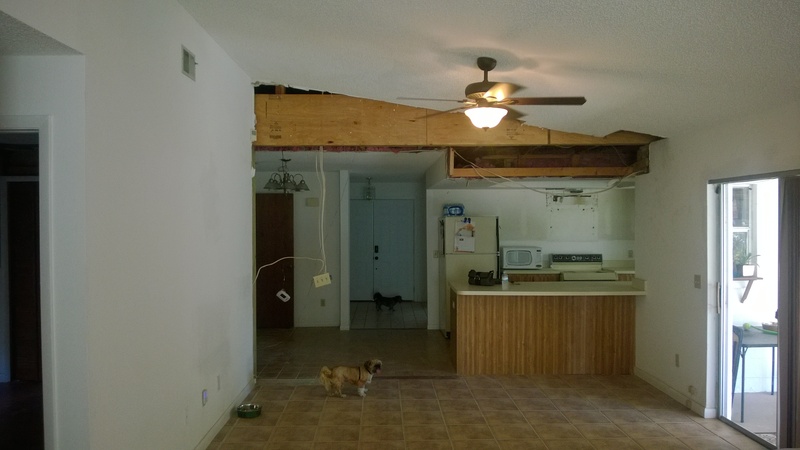 « Dog Day Care Remodeling…….IT HAS BEGUN!